Been busy as a busy! But not so much that I won't share this amazing coupon with you!!! 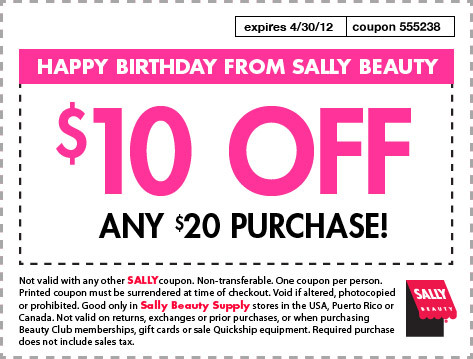 It's Sally's Beauty Supply Coupon for April. Thanks to the Amazing Trace Face Philes for sharing this one. Code "might" work online. But I believe it "Should" work when you take a copy to any Sally's store. Thanks! I took total advantage of this! So I took a video of myself getting paid over $500 for taking paid surveys to set the record straight once and for all.